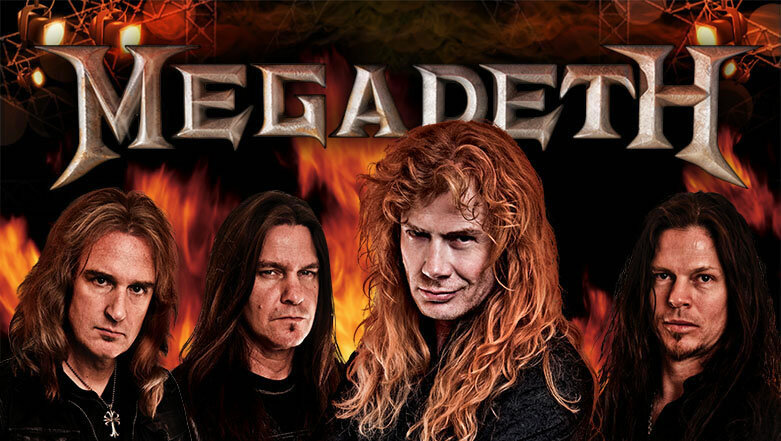 If the slot’s name sounds familiar, it’s because Megadeth is themed around the trash metal band with the same name, which was founded back in 1983. It’s got the right look for a rock themed slot machine, it offers 40 paylines while its best prizes will put only about $100 in your pocket. The game is inspired by Megadeth, a trash metal band which got its start in LA, California, in 1983. Its original founders were Dave Mustaine and David Ellefson. The graphics include the photos of the band members, along with their musical instruments. It’s the kind of design you would expect to see in a slot about rock, with the lights of the stage in the background, and with metal and chains being used in the construction of the reels. Leander decided to keep things cheap and simple for this game, so you can use coins that go up to $0.20 only, and each line only accepts one coin in the bet. With 40 lines used, 40 coins of $0.20 can be part of the bet, for a total of only $8 per spin. Mustaine, one of the founders of Megadeth, is used for the extended wild symbol, which can take over the entire payline with a bit of luck, guaranteeing you that if a symbol needs a wild on that reel to form a combo, it will have access to it, no matter on what payline it is needed. A wild symbol works only when combined with regular symbols, and it wouldn’t substitute for a bonus. One of the major features of Megadeth is the bonus game which you get started with three scatter symbols (Bonus Skulls), on the reels 1, 3 and 5. You get to spin a Mega Wheel here, and it will decide if you get the free spins, the bonus game or an instant win.